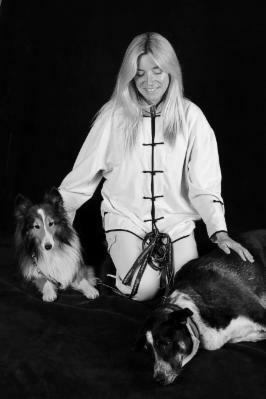 4TheLuvOfDogz specializes in Mobile Canine Massage , Beginner Agility Training, Dog Nanny Services. and K9 Birthday Cakes & Treats. Canine massage is offered at your home where your dog is comfortable, while at your Vet's and while your dog is in doggie daycare or at the doggie hotel for overnights. Agility training is on Hold for Winter, and Petz Nanny services including Dog Walking and Overnight House sitting are available year round. "We met you in January '09 at Broadway Animal Hospital (Lee and Patrick) and we had with us, Dorothy, the almost 7 year old French Bull dog. You gave her a wonderful treatment and a consultation for us with some recommendations. We followed your advice and we are now buying her food and supplements at Only Natural Pet store. She seems healthier than she's ever been with no UT infections and no limping of the hind quarters. We love her dearly and can't thank you enough for your guidance and care. Many thanks." 2010..." Our Dorothy is doing very well; especially after seeing the lady vets you recommended; and then went to Colorado State University to see a skin specialist. All this and Dorothy's Cushing's is completely under control with Trilostane and thyroid meds. Her energy and personality have returned. We're very grateful to you for your support." Join 4TheLuvOfDogz Lovers! on Facebook! For more information, please complete & submit this simple form. 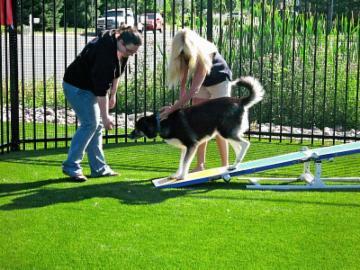 Best of Boulder 2012 for Pet Training!